Lab Lunch and Lab Welcome to new postdocs and PhD students! We recently had our end-of-the year lunch and gift exchange. We would like to welcome our new postdoctoral fellows Deepak and Yiwen as well as our PhD students Eddy and Hong Kee (who is doing a joint PhD with Dan Tenen). 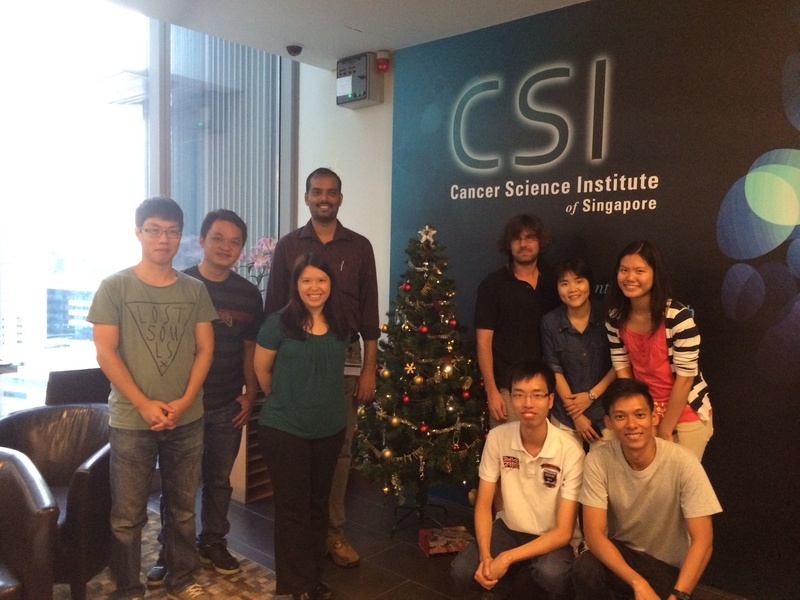 This entry was posted in Lab Life, Lab Members on December 30, 2014 by M.